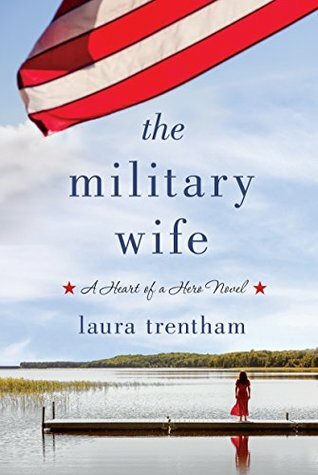 The Military Wife by Laura Trentham is the first book of the contemporary romance A Heart of a Hero series. As once may guess from the title/series this one is centered around our military with the main character having lost her husband as he served. Harper Lee Wilcox lost her husband, Noah, five years before while he was on active duty in the military. Harper had been a college graduate that struggled with being a military wife with whom employers would pass over knowing that the husband could move on at any time. Unfortunately her fears over losing her husband became real just before their son was to be born and even five years later she struggles to move on. With Harper’s best friend struggling after her husband had been injured and looking to find her own place Harper keeps tossing around ideas to start a business to help military wives like herself. This path brings Harper into contact with Bennett Caldwell who had been Noah’s best friend and there at the time of his death. As the business idea brings them closer together Harper and Noah both struggle with the past. The story within The Military wife is one that alternates between what is happening with Harper and Bennett in the present but also looks back into the past when Noah and Harper were just beginning to show both timelines. As one would guess this is an emotional read which was to be expected reading about what Harper and her family and friends go through with spouses who are injured or don’t return from duty. It was also nice to show the different times in one’s life through how Harper was before and how she is now with Bennett. Lovely read I’d definitely recommend. 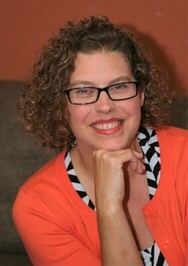 LAURA TRENTHAM is an award-winning author of contemporary and historical romance. Then He Kissed Me, a Cottonbloom novel, was named as one of Amazon’s best romances of 2016. She is a member of RWA, and has been a finalist multiple times in the Golden Heart competition. A chemical engineer by training and a lover of books by nature, she lives in South Carolina.